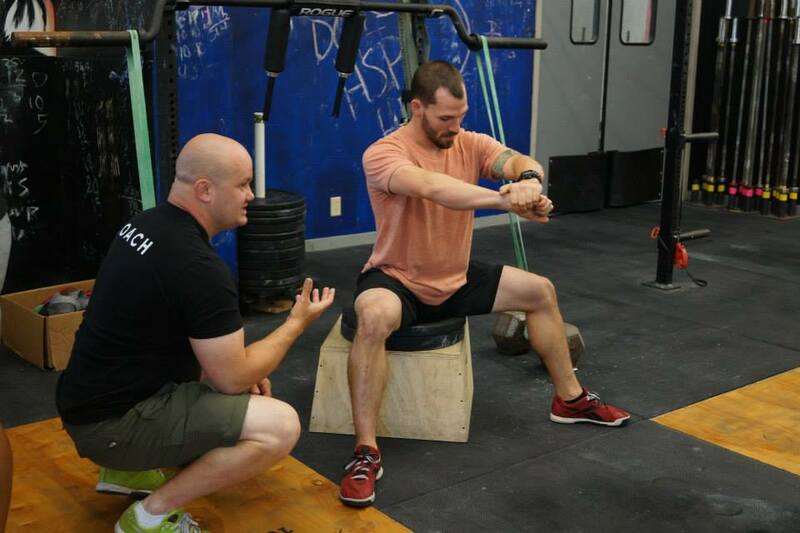 The popularity of crossfit training has increased significantly throughout the past few years. In fact, it has become popular among professional athletes as well as ordinary people who are concerned about their physical fitness. The best thing about crossfit training is that you don’t need to spend money on an expensive gym membership. All you need to do is to purchase the required crossfit gear and engage with the workouts at home. 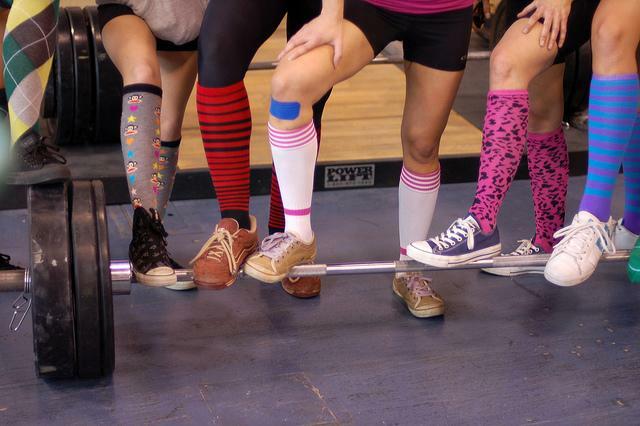 When it comes to crossfit gear, shoes hold a prominent place. In fact, you need to be careful enough to purchase the right shoe. Many people don’t have a clear idea about what the right shoe is. The perfect shoe available for crossfit training would be a minimalist running shoe that comes along with a zero drop sole. 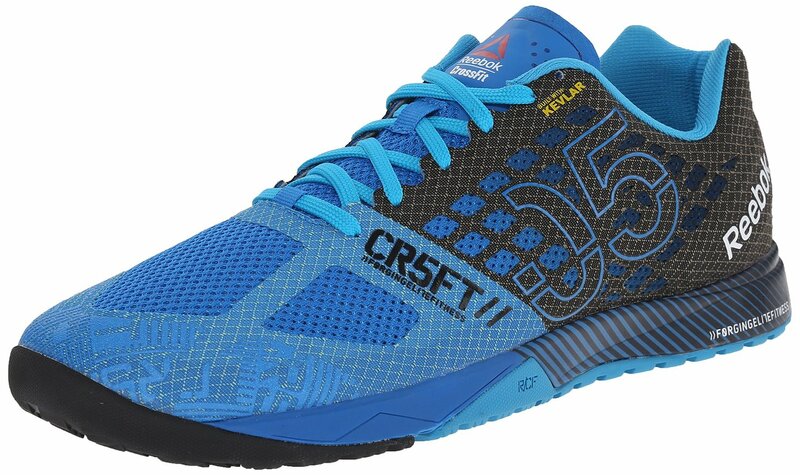 Even though barefoot running has received much attention among cross fitters, you will get the opportunity to experience the best results by purchasing the perfect crossfit training shoe. A zero drop sole is much important because it can assist you with lift and squat while having a better contact with the floor. A traditional running shoe is not recommended for the people who are planning to engage in crossfit training. That’s because running shoes contain a lot of squashy cushion and they will not give you the freedom to engage with all crossfit movements. Therefore, you need to purchase a shoe that is specifically designed for crossfit training. Tape stripes can also be considered as an essential crossfit gear that all the cross fitters should have. It is possible to purchase them from any local pharmacy at a reasonable price. Having them in your bag will assist you to stay away from the hassle associated with accidents. You can also think about purchasing a box of blister patches. 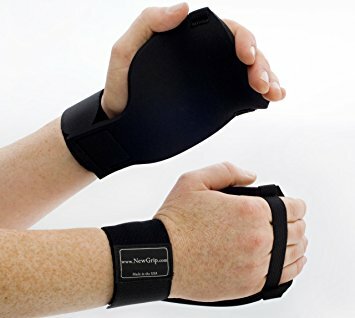 They can help you to treat the poor ripped hands in a convenient manner. You would sweat a lot when you are engaged in crossfit training exercises. If the sweat flows to your eyes, you will have to experience a lot of discomfort. Therefore, it is better to invest your money on a headband as well. A headband will not only help you to keep sweat away from your eyes, but it can also assist you to keep hair out of the way. It is better to look for the perfect headband in order to stay away from headaches. Rope climbs can be considered as an important workout associated with crossfit training. If you want to keep your skin away from burning on rope climbs, you need to purchase long socks. Last but not least, it is recommended for the crossfit trainers to have some snacks or supplements by their side every time. If you keep them in your bag, you will be able to use them whenever needed. These are few of the must have crossfit gear and all the people who are interested in crossfit training should purchase them. Now that you have gotten a hold of all the gear you need to begin crossfit training on a regular basis, it is time to go to the shop and buy some heavy stuff. There would be instances where you would simply not want to go to the gym. For this, you can always use a spare room in the house and set it up according to your crossfit needs. For an in-house gym, there is no purpose if it doesn’t boast an Olympic weightlifting barbell. We are not even going to go down the road and tell you why you need the barbell for crossfit training since it is a must-have for a crossfit gym. While you’re out in the store looking for a barbell, it would be nice if you let go of thriftiness and get yourself a quality bar. Going for a cheaper option is pretty much pointless since you are going to end up replacing it. Moreover, a cheap barbell is going to leave a trail of flaked chrome pieces all over your floor. The standard weight for men’s Olympic barbell is 20kg while that for women is 15kg. 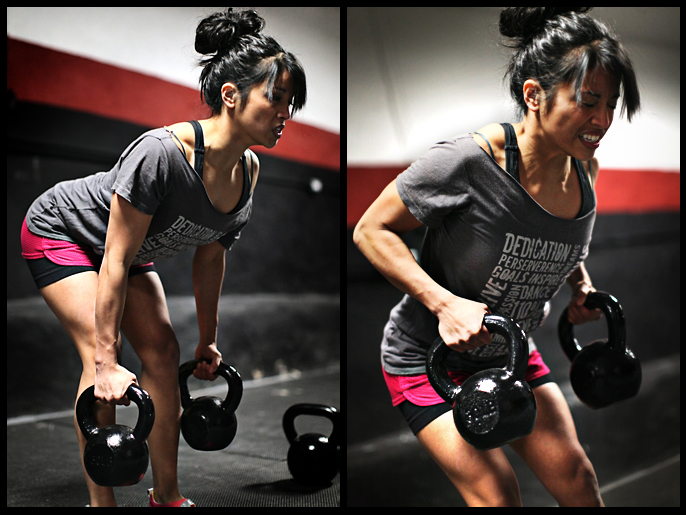 barbells designed for women have smaller handles. For men, there are variations in the diameter of the bar shaft so you will have plenty of variations to choose from. If you are buying a barbell for Olympic lifts and crossfit, it is better that you don’t opt for bars with centre knurling since that is solely designed for powerlifting and can cut you up pretty bad if you use it for crossfit. So for crossfit, you would do well to have a bar with a passive centre knurl. A bar boasting tensile strength of over 150,000 PSI is perfect for crossfit training. Another thing that you should bear in mind while buying a barbell would be to avoid paying for a bar that has a hex bolt sticking out of the sleeve. The one with an end cap or snap ring sleeve design is what is preferred for crossfit training. 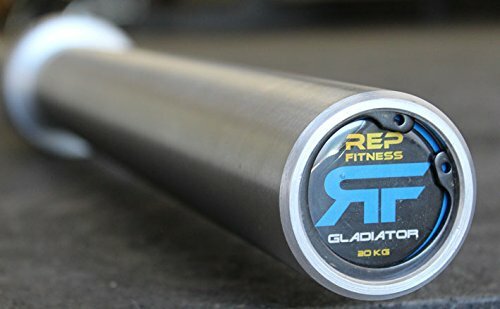 Now that you have bought a nice shiny bar, it is time to choose bumper plates. 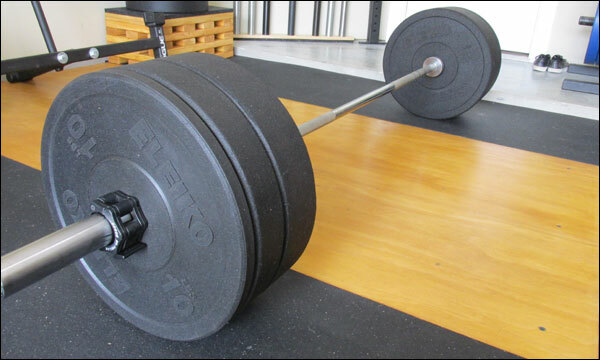 We would recommend bumper plates over classic iron plates since they cost less and are much suitable in the longer run. However, it is always better to stick with reputable brands. Bumper plates should always be bought in sets as it is a cheaper option. The smallest set would be of 160 pounds that includes a pair of 10s, 25s and 45s. When it comes to buying a pull-up bar or a power rack, there are a few options that would be feasible to your needs. You can get yourself a wall-mounted or ceiling mounted bar, buy a power rack or you can acquire squat stands that have a pull up bar. However, the safest option would be to opt for a power rack since it guarantees safety doing all sorts of crossfit training exercises without worrying about injury. Regardless of what you end up buying, pull-ups and chin-ups are a major part of crossfit training so having a pull-bar is absolutely essential. If you are a little short on cash, a pull up rig can do the trick as well. There would be times when you would fail to put together multiple double unders! And if that is something you do on a regular basis, it is recommended to get yourself a jump rope which is suited to your body and jumping mechanics. The ropes can be customized to the unique needs of each athlete. There are also different cable variations suited to tempo and resistance levels. With these ropes in your gym bag, you will start enjoying your double unders. For upper body strength, you will not achieve anything without gymnastic rings. 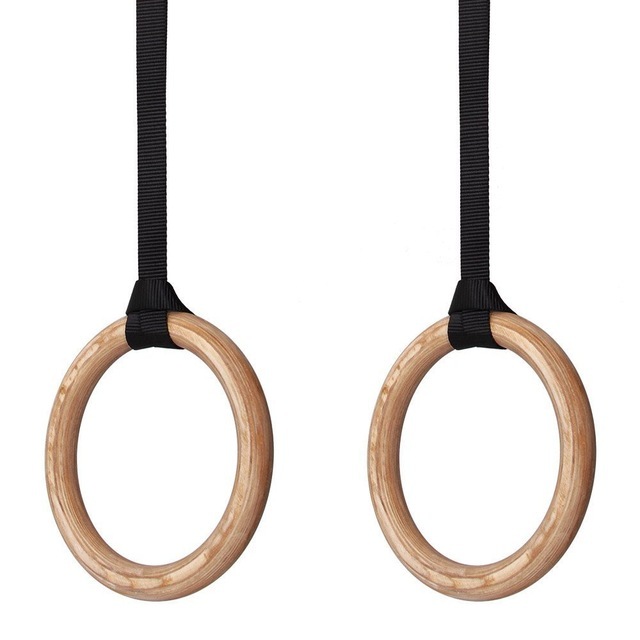 These rings will be used for ring dips, ring tows, muscle ups, front levers and various other activities. The material is diverse such as wood, plastic or metal. Moreover, this particular equipment is inexpensive and a must have for your in-house gym. For swinging and snatching you need a small selection of kettlebells. Initially, you should buy only a couple of them and keep adding more as your strength evolves. However, you should be wary of the quality of the kettles you are buying. Make sure that the ones you bought aren’t coated with epoxy since they will chip off eventually. Also, ensure that there is no molding or casting seam on the handle which are signs of cheap kettles. If you regularly use kettles that have seam on the underside of the handle, your hands will be destroyed. Furthermore, keeping your hand size in mind, go for kettles that have larger handle openings. A versatile piece of equipment that won’t force you to start budgeting in the middle of the month, the squat box is an essential for an in-house crossfit gym. The best thing about squat boxes is that you can make them on your own and save some cash. Heights vary from 12” to 24” and these can be used for box jumps, step ups or box squats. Although medicine balls are mostly used for wallballs, they have a lot of room for crossfit training as well. You can do pushups, cleans, plank or tossing through this piece of equipment. Similarly slam balls are great options as well if you prefer a ball with dead bounce. Although weight benches are not a priority for crossfit, at some point, you may want to get one. You can do several workouts through a weight bench such as ab workouts, pull overs, dumbbell rows etc. Rather than going for an adjustable bench, you can find a flat utility bench much more useful. Moreover, you don’t have to splash the cash for a weight bench. This equipment allows you to be mildly thrifty. Just make sure that you get a bench with high-density foam and good construction. The Glute Ham Developer or the GHD as it’s called, is a very important piece of equipment for adding strength to glutes, hamstrings, core and lower back. In most gyms, you might not come across this equipment so if you’re planning on an in-house crossfit gym, this should be a top priority. This machine offers several exercises such as glute ham raises and sit-ups. Although it is a little expensive, you will eventually want to buy one. However, you don’t need to buy this machine instantly since the likes of bar, bumpers and racks are much more important for your initial endeavors.